Avengers: Infinity War is quickly approaching, and promises to be the end of the story for some cherished characters. And as it turns out, Captain America may be to be one of them. As rumors continue to rise about which of the countless heroes will meet their demise or stick around for the next chapter of the Marvel Cinematic Universe, Chris Evans offered more credibility to reports that his time under the patriotic cowl is coming to an end following the two-part Infinity War film. According to the New York Times, Evans stated that he had no plans to return to the franchise once his contract ends after Avengers 4, saying, “you want to get off the train before they push you off.” He expects to relinquish his shield following planned reshoots for Avengers 4 this fall. 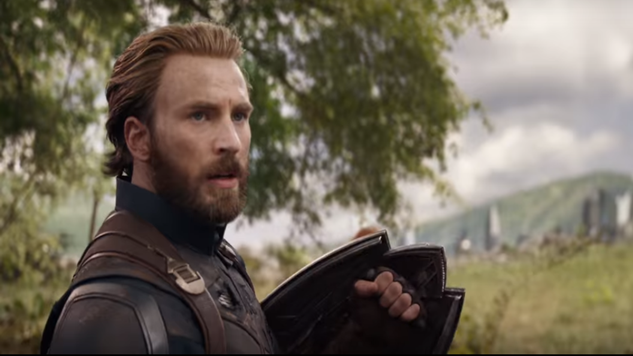 If Evans’s days as Cap are indeed coming to an end, he will have appeared in nine of the 19 films encompassing the MCU and would have redeemed the cinematic representation of the character after producers failed twice before to bring the character to life—one of which involved the son of author J.D. Salinger playing the character, if you can believe that. One thing is for sure, though: Cap won’t be going out without a fight.